Stock options and profit-sharing plans are relatively low-cost employee incentive plans. 3. What Is a Stock Option Award? “Dellionaires” are Dell employees who became millionaires by exercising employee stock options at the time of a spectacular increase in the company's stock price over the employee's option price. Outcomes such as this are one reason stock options are a popular employee reward for long-term service. Companies also offer profit-sharing plans, which reward employees for their contributions to a company's profitability. 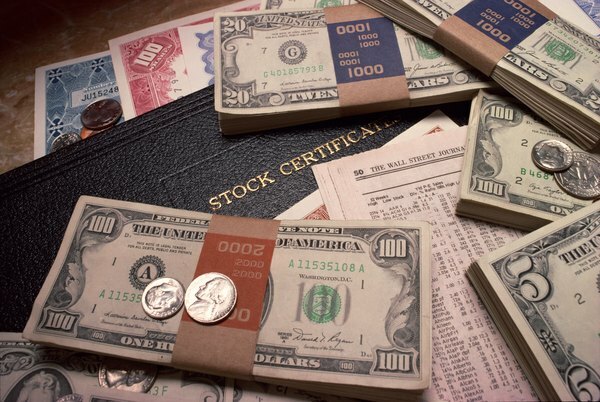 Stock options are a form of equity compensation, which allow an employee to acquire an ownership interest in a business. A stock option grants a worker the right to buy a particular number of shares of his employer's stock for a predetermined price after a vesting period, but before some future date. In many cases, the stock price at the time the company issues the options determines the option price, which is the price at which the employee can exercise stock to purchase the stock. You calculate the option's intrinsic value by subtracting the option's exercise price from the stock's market value. The right to purchase stock often vests, or accrues, over time or upon achieving particular performance goals. A stock option has a value only if the price of the underlying stock rises above the option price. If the stock price falls below or is equal to the grant price, the option has no value. Assume that a company awards an employee the option to purchase 50 shares of its stock at $10 per share. Also, assume that over time, the stock's market price increases from $8 per share to $30 per share. At this point, the employee decides to exercise his option to buy 50 shares, which he will then sell to profit from the increase in the stock price. The employee pays his company $500 to buy the 50 shares at his $10 option price. He then sells the 50 shares for the market price of $30 a share, and earns $1,000 profit. If the stock's market price falls to $9 per share, the stock option has no value, because the employee can purchase the stock on the open market at a price that is less than the option price. A profit-sharing plan is a defined-contribution plan that allows an employer to make a tax-deferred contribution to each employee's retirement account. The employer determines, on an annual basis, if it will contribute to the plan and, if so, the amount it will contribute. Because employee salaries often determine the percentage of profits they receive from their employer, the cost of a plan rises and falls with the company's profits. Therefore, the employees who benefit the most from a profit-haring plan are those whose companies are consistently profitable. Often, a company funds a profit-sharing plan using mutual funds, annuities or life insurance. The individual employee’s salary frequently determines what percentage of the company's pretax profits will be deposited to each employee's account. The Internal Revenue Serice taxes these contributions and the gains on the contributions as regular income when the plan distributions begin at retirement. In most cases, any account distribution before the employee reaches the age of 59 1/2 are subject to a 10 percent penalty. However, the employee may be able to borrow against the account or withdraw the funds without a penalty in the case of an emergency. A profit-sharing plan includes a vesting schedule that determines when an employee is fully vested in the plan. Vesting allows the employee to retain the account’s full-accumulated value even if he leaves the company. AXA Equitable: Retirement Plan Common Questions: My Company has a Profit-Sharing Plan. How do These Plans Work?